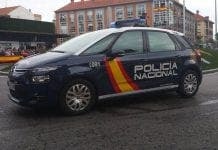 TEN people have died and at least 20 more have been injured in a plane accident in Albacete, Castilla la Mancha. A Greek F16 fighter jet reportedly crashed at the region’s airbase at 15:30, killing eight French and two Greek people. Firefighters were called after the plane exploded collided with five other planes at the Los Llanos airbase after an unsuccessful take off. Los Llanos airbase is taking part in NATO’s Tactical Leadership Program (TLP), where advanced pilots are training to enhance their skills and overall air force effectiveness.